Last year, my membership was accepted into the National Association of Professional Child Photographers. Members of NAPCP "exhibit quality images of children on a consistent basis and uphold the highest ethics and integrity within their business practices". It's also great for parents who are looking for a professional child photographer in their area and want to be inspired and educated about this specialized industry. 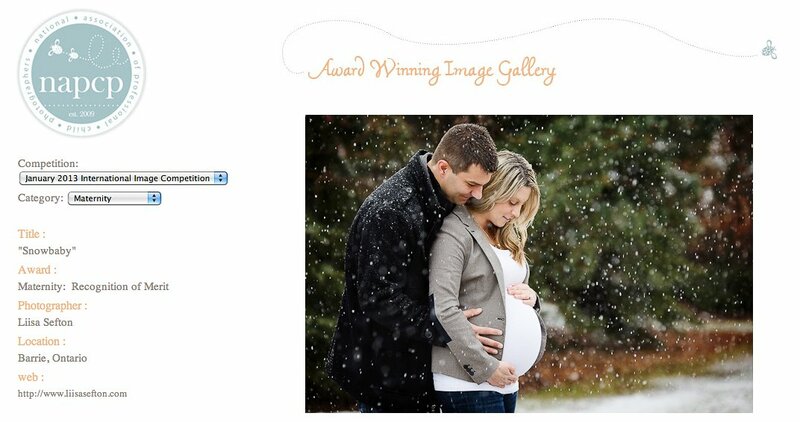 Recently, I entered the NAPCP January 2013 International Image Competition and am proud to announce two Recognition of Merit Awards in the Maternity Category. Taken from a recent NAPCP release, the purpose of the Image Competition is to "recognize the creative and technical excellence of our child photographer members, reward talent, and serve as a vehicle for learning and improving our craft." 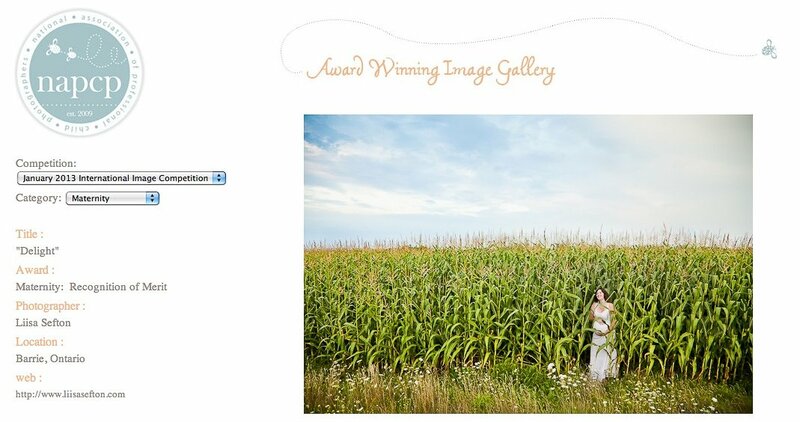 To see the complete list of beautiful award winning images, please click HERE. Special thanks to the judges for taking the time to review hundreds of submissions. effie lissitsas - Liisa congratulations! !